Nice Locally Owned Truck! 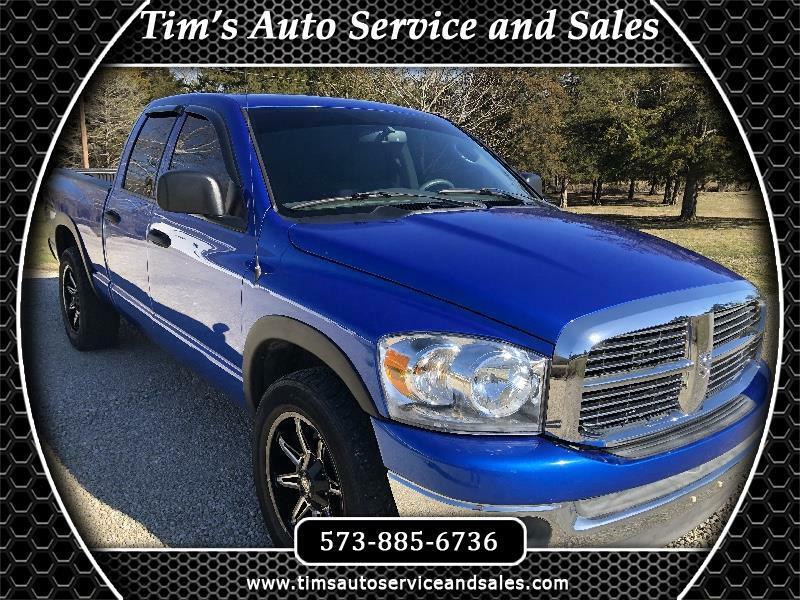 2007 Dodge Ram 1500 SLT Quad Cab 2wd, automatic, custom wheels, sharp royal blue exterior with charcoal gray cloth interior. Runs and drives great!